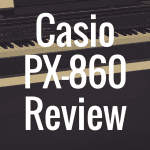 For a long time Casio has had to battle against the perception of producing products that are toys, or bottom-of-the-line cheap machines that aren’t for serious piano players. Walk into any local Wal-Mart or toy store, and anyone could easily see why. However, when it comes to digital pianos, Casio begins to take a step in the right direction, producing quality pianos that are perfect for anyone trying to bring a real feel to mastering their craft of playing the piano. The Casio CDP-120 firmly places itself on that list of digital pianos. 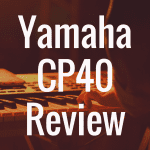 The successor to the CDP-100, this piano brings a better comprehensive package while keeping just about the same price. Just to be fair to any reader or potential buyer, this piano most likely isn’t designed for the casual buyer. 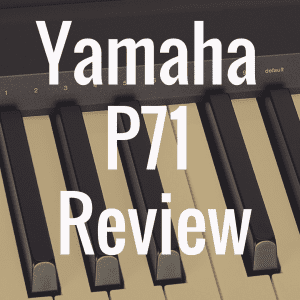 If you aren’t an acoustic piano player who’s looking to replicate the feel of a real piano, and in need of a simple machine that comes without all the bells and whistles, then maybe this isn’t for you. I stumbled upon this beauty of a machine while perusing my local Guitar Center, and I was a bit shocked at how much of a find it was. The first thing I noticed was its sleek and simple design. The piano is all black, with a smooth consistency running down the length of the board. It has a stand-alone, keyboard-like build, with no legs attached, so you automatically know that you may have to purchase some items along with it, like a keyboard stand or a piano bench. NOTE: You can read our Casio CDP-240 review here! The piano itself is about 52 inches long, or 4 and 1/3 feet, 11 inches wide and 5 inches high. Those are pretty good dimensions for anybody looking to find an exquisite piece of machinery that can fit somewhere in their office, living room, or bedroom. The only thing that may deter some people is the weight. The piano weighs about 25 pounds, which isn’t too bad, but if you’re planning on carrying it frequently it could get to be a pain. Many of my friends have said they would have thought it was at least 35, 40 pounds or more. There are a total of 8 buttons or knobs on the entire machine, so you know this piano isn’t about wowing you with any bells and whistles, or unnecessary features. All you’ll need is the volume knob, power button, demo/function button, with the rest being the different tones. This is what so many find endearing about the machine, in that it gives them exactly just what they need, with no headache, and complete satisfaction. At the same time, for someone who’s looking for a bit more, it could be the deciding factor that pushes them away. There are a whopping total of 5 tones for the CDP-120: Grand Piano 1 & 2, Electric Piano, Harpsichord, and Strings. With that said, I was blown away by the amazing quality of the sound found in each tone, especially the grand piano. I would go so far as to say you won’t find a better, more realistic sounding piano tone for the amount of money you’ll spend on the CDP-120. Even if you’re still unsatisfied, the piano comes with a sleek USB port, which is plug-and-play enabled. The handy Plug-and-Play feature will allow you to connect with any computer automatically, the computer being able to recognize it without downloading any drivers or installers. 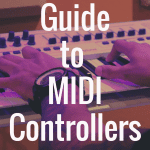 This USB Midi port, which can also connect to your iPad, will help you achieve any external tone you can find. The USB port is one of four jacks on the backside of the piano. When looking directly at the back panel, the USB port is on the far left, with the Damper Pedal, DC connection, and 1/4” headphone jack following successively to the right. A Damper Pedal is another item that you may have to buy separately from the piano, if you don’t already own one. It also is the source of one of the few problems with the machine. While the tones on the machine are almost near perfect, the sustain is not. It’s a small detail that many casual musicians may miss, but more advanced players looking for the most realistic experience possible will surely notice. 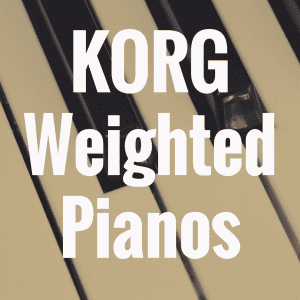 The sustain is very short compared to real acoustic pianos; unrealistic to the point that there is no consequence to leaving your foot jammed on it. If this is too much of a problem for you, you may have to upgrade to a higher end digital piano. The 1/4” headphone jack may or may not pose a bit of a problem as well. It is a perfect feature for piano players who want all of the experience of an acoustic piano, but want to be able to let their kids sleep, or not disturb the people in the apartment above you. For people who want to use the 120 to record, they may find using this headphone jack a bit annoying. It won’t provide the most quality sound, and higher level digital pianos like the Privia rival it by having ¼” output jacks. Some of the new additions for the upgrade of the CDP-120 from the 100 are expanded polyphony, transpose and touch functions, Keyboard Channel, and Local Control functions. The 48-note polyphony is an upgrade from the 32-note polyphony of the 100. The Keyboard Channel works with the MIDI functions to send digital data to whatever computer you choose to connect. The Local Control allows you to disable sound from the piano while exchanging that data. So, after everything, is the CDP 120 worth your time and money? Well, let’s bring this review to a conclusion, shall we? All in all, I was excitedly pleased with everything the CDP-120 brought to the table as a digital piano. The simplicity and the functionality of this work of art make the machine a great buy for any aspiring piano player. 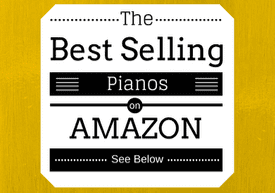 With a sweet price range of anywhere from $400-$450 retail, and even $100 less than that if you find a good buy, this digital piano is a wonderful choice for anyone trying to bring the experience of an acoustic piano to their personal environment. 3) What are the Best Casio Digital Pianos? 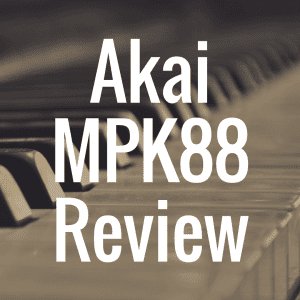 And for more on digital piano reviews, please visit our homepage.